Delivering of furniture to all parts of Australia is handled through us essentially. We involve a third party. We search for the best process for you to get that furniture item, or furniture collectively to you at the best price. All our furniture is wrapped with bubble wrap and plastic and so essentially any wooden areas, or wherever there is fabric, it is completely protected. That item is fully insured, so you have no fear in terms of damage and what the repercussions are. The companies that we’ve used over the last 10 to 15 years are very reliable. We have had no issues with them, thankfully. Our delivery service, is from our factory to your front door. You need not worry about picking it up. Obviously the third party is in touch with you in terms of the timing of when that item would reach you. No concerns whatsoever. We can deliver to all parts of Australia and we also have experience in delivering orders worldwide. It goes in a furniture removal truck, fully protected and insured. If you interested in learning more about our Delivery Service, please contact us at that office on 1300 030 318. 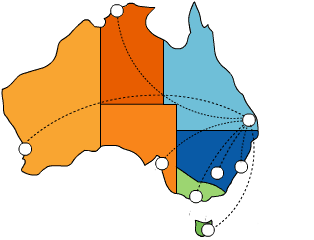 What costs are associated with delivery to around Australia? A question I get asked regularly is what would be the cost associated with getting furniture from our warehouse and sample here to any parts of Australia? Ideally, as I mentioned before, we do use a third-party company that delivers to all parts of Australia so those costs do vary.